Places to see in Garchumuk: The prime attraction of Garchumuk is the beautiful barrage, popularly called 58 No. gate or Atanna Gate, where 58 lock gates have been built. Visitors flock at the site to view this extensive barrage. Garchumuk also features a nice Deer Park. You can also spot irrigation canals connecting the rivers Damodar and Hooghly. Above all, it is the breathtaking natural beauty of the rivers and its surroundings that fascinate the visitors. Nearby attractions around Gorchumuk: Gadiara is a major nearby tourist attraction, located at a distance of 22 km. from Gorchumuk. Gadiara is also a popular picnic spot where River Damodar, River Hooghly and River Rupnarayan meet and create a huge expanse of water. 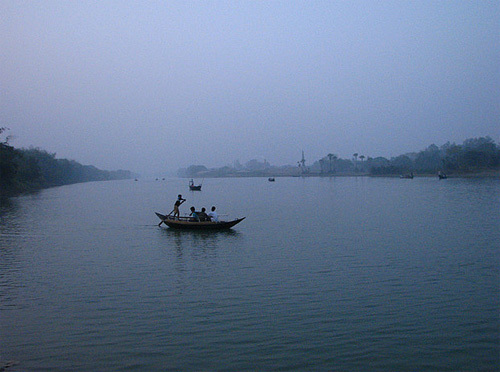 You can take ferry rides across this expanse of water and reach the other side of Rupnararayan River at Geonkhali. A few minutes Toto ride from Geonkhali would take you to Mahisadal Rajbari. Things to do in Garchumuk: Garchumuk is an ideal picnic spot for the tourists amidst the natural splendor. There are also provisions of boat riding on the river at Gorchumuk. You can also explore the region, preferably in groups and take photos of deer in Deer Park. A walk along the riverside or bird watching in the gardens of the Deer Park are few other activities you can enjoy. How to reach Garchumuk (58 Gate): You can avail a number of options to reach Garchumuk. 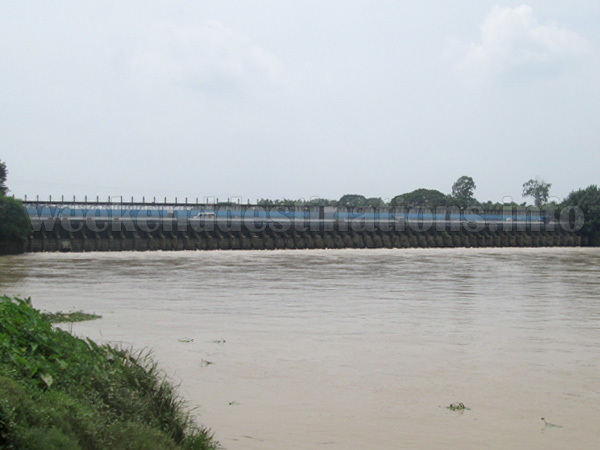 Trains are available from Howrah, which takes around 45 minutes to reach Uluberia. From Uluberia, you will find trekkers and buses to take you to Gorchumuk. Gorchumuk is located at a distance of 60 kms from Esplanade and takes around 2.5 hours to reach the destination. Avail a bus heading to Gadiara from Esplanade, and drop down at the 58 No gate stop. 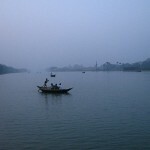 You can also drive along the Bombay Road to Uluberia and then take the local road to reach Garhchumuk. Best time to visit Garchumuk: You can visit Gorchumuk (58 gate) anytime of the year. The monsoons are great due to the greenery and the foaming waters of the barrage and the winters are just perfect for enjoying the sun and the chill. Lodging and dining facilities in Garchumuk: Presently, you can stay overnight at a private budget hotel with all standard facilities like Double Bedded rooms with attached western bathrooms, TV, comfy beds, car parking and electric generators. Located beside the river and a few minutes’ walk from the Deer Park, this budget accommodation offers clean rooms and sumptuous Bengalee food for the guests. Hi, I was in Garchumuk last year in the winters (in December). There’s a deer park in the banks of River Damodar. There is also a huge Lock Gate. There were many open spaces, where picnic parties were enjoying. It was a bit conjested but the boating on the river was a nice experience. We had booked the cottage from Howrah Zilla Parishad. 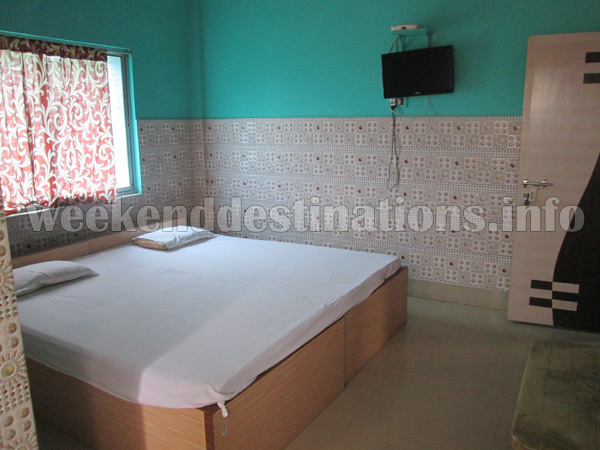 They are nice cottages at the banks of River Damodar with a nice garden and basic facilities. Its nice for a day trip. We also arranged for our lunch from the local eatery just outside the gate of the picnic area. Overall it was a nice experience.